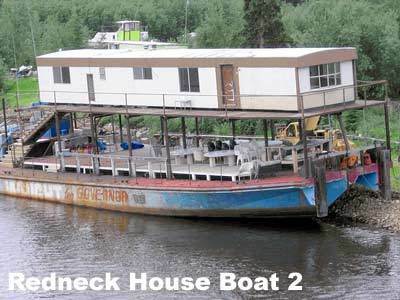 If you think these redneck boats are ridiculous, check out these Weird Cars ! 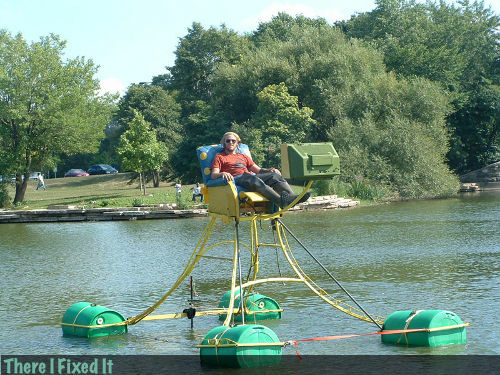 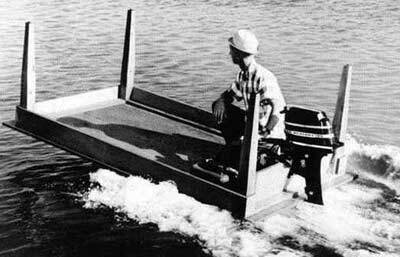 Nothing is cooler than a one man redneck pontoon boat made out of old barrels, a lawn chair and an old tv! 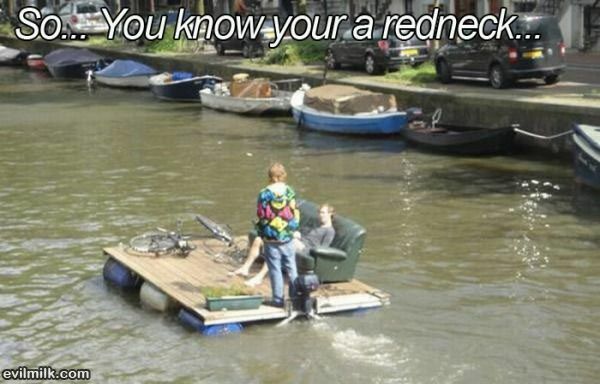 Rednecks can make almost anything out of 2×4’s. 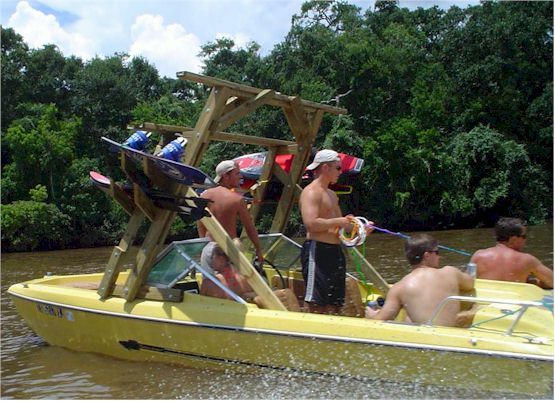 These crafty rednecks have bolted some 2×4’s to their boat to make a wakeboard rack. 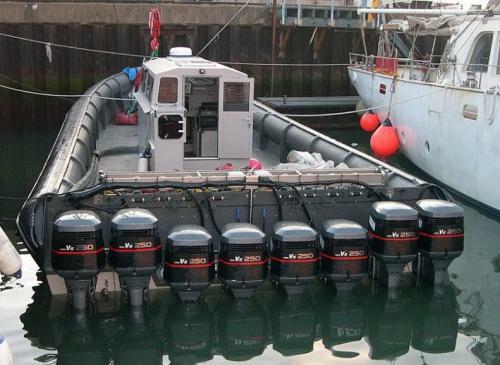 Most speed boats involve a boat with a big motor… a redneck speedboat consists of one boat and 8 motors! 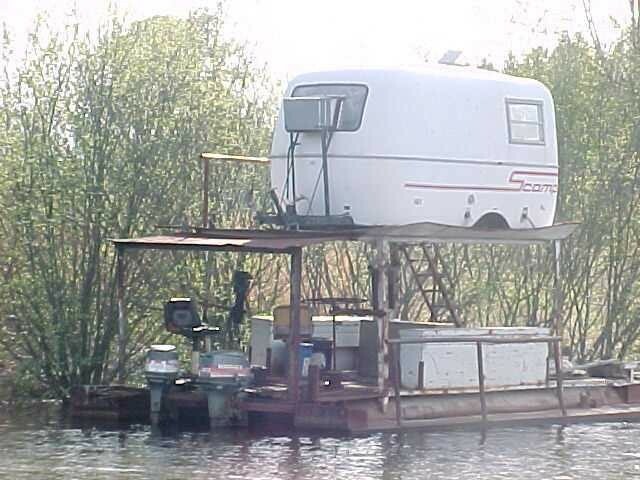 Another fine redneck house boat, this one created from a camper mounted to some pontoons with 2×4’s and a couple of little boat motors attached.